Talk to us about Yacht Management, especially in the Miami, Fort Lauderdale and Florida Keys areas. We are uniquely and conveniently positioned in North Miami, we know these locations extremely well, having lived and operated our business here for over a period of almost 20 years. We know the Bahamas and Florida Keys destinations in great detail. 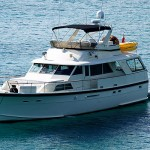 What exactly is Yacht Management? All serious charter vessels should have a management company that, in its very least and simplest form consists in promoting your charter yacht, holding your vessel’s charter calendar, listing your yacht in the recognized and most popular charter vessel databases, responding to brokers, and managing payment funds. Additional services, such as maintenance, cleaning, arrangements for dockage in a local marina, and finding captains and crew can be arranged. Professional Charter Brokers prefer to deal with a recognized professional management company or “clearing house” as it is known in the Caribbean, rather than directly with an owner for obvious reasons: they need to be sure that their funds are safe and that the boat and crew are as described and that the boat will be at the charter pick-up location on the date and time specified in the contract.